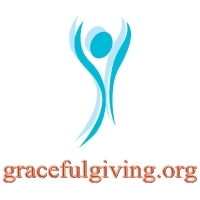 Graceful Giving is a family owned Christian non-profit organization and was created with the hope to assist anyone in need. We help people regardless of religion, race, ethnicity, age, or gender. There are many people who are in desperate need, some need assistance with paying rent, others need food, clothing and cannot purchase it because the of lack funds and in other cases a family needs assistance with medical bills. Our goal at Graceful Giving Corporation is to facilitate help to those individuals who need it. Graceful Giving is also involved in helping children and families alike in other countries. We help countries where the poverty level is high and children are not receiving proper medical attention. We do this through reputable churches and trusted agents who monitor where the money is spent. Every dollar that God has put in our heart to send abroad has impacted many lives. The funds have also been used to build and finish church constructions. Many of these churches are the pillar of their community and also help many children and families within their area. Many of these places are only supported by people like you who help bring food, support, and education to children. Graceful Giving Corporation is a tax-exempt organization. The mission of Graceful Giving is to bring smiles through Gods blessings to those that are in need. We provide people with the necessary help to overcome whatever obstacles they may be encountering. Our vision is that with God we can make a difference in peoples lives in the community and around the world. Thank you all who supported our Dental Mission to El Salvador over 200 lives were touched, specially ours. It will be bigger next year with plans to help at least 600 hundred. Check our page on Facebook: Graceful giving for videos and pictures of the trip.